Pat Harvey is the #1 Sales & Listing Agent, RE/MAX 2017! Pat Harvey has been the top sales agent at RE/MAX Town & Country for the past 18 years! Awarded #1 Sales Agent for 2017. Awarded #1 Sales Agent and Top Listing Agent for 2016. Pat Harvey specializes in marketing homes for sale the West Chester area, Unionville - Chadds Ford, Garnet Valley, and Downingtown school districts. Home buying and relocation specialist, let Pat Harvey help you with your MOVE! I offer all my clients personalized, professional service, knowledge of the area and schools, comprehensive marketing, and excellent negotiation skills. I specialize in West Chester, Chaddsford, Unionville, Exton, Garnet Valley & Media. Moving here from a different area? I'm an Accredited Buyer Representative & I've worked with many relocation buyers & relocation company's. I can help answer your questions about housing costs, neighborhoods, schools, taxes and any others. I'd like to help make your move as stress-free as possible! Please call me at 610-563-8811 or email me at patharvey@comcast.net for a fast response on any of your real estate questions. 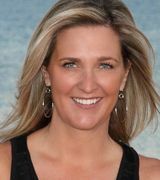 "My past experience in Advertising & Marketing have helped me gain an edge in my presentation of homes when selling them. I specialize in the West Chester, Chadds Ford, Garnet Valley & Malvern areas. I represent several companies who are relocating their employees to & from the area.